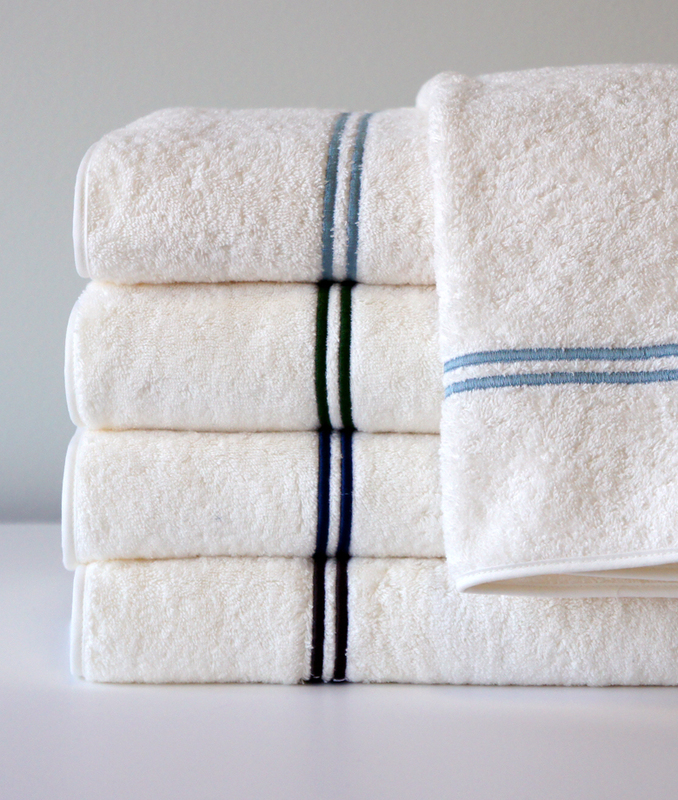 Our plush terry towels available in White and Ivory with two rows of Satin Stitch. Thread colors may be selected from the Legacy Thread Ring. Available as Bath Sheet, Bath Towel, Hand Towel, Guest Towel and Bath Mat; Wash Cloth is available without satin stitch detail.